It would be awfully difficult to deal with the disappointment of coming in dead last in a race with the entire world watching. But imagine finishing last behind a runner with a broken leg. Manteo Mitchell delivered that psychological blow four years ago. Mitchell, a lifelong North Carolinian who lives in Asheville, won the silver medal in the 4×400 relay at the 2012 games in London. He’ll be forever known as the man who ran on a broken leg, fracturing his left fibula – the bone on the left side of your calf – halfway through his lead-off segment of the relay and still managing to pass off the baton to his teammate. And he didn’t finish last in his heat. Mitchell’s gritty performance has earned him a place in athletic history, providing us with one of America’s most inspiring and memorable sports moments. Sprinting a full lap of the track is challenging enough, but doing half of it with a painful broken bone is unthinkably difficult. As an elite athlete, Mitchell embraces fitness on a level most of us can’t comprehend. But he encourages all of us to lead active lives, even if we don’t have gold medal aspirations. 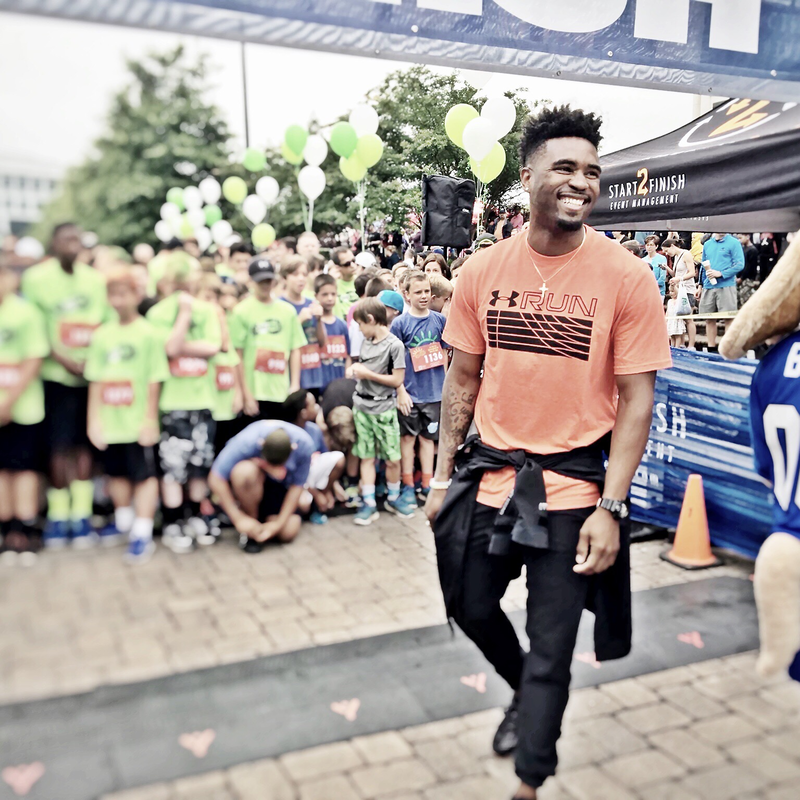 At Blue Cross and Blue Shield of North Carolina, we encourage people to take on challenges with determination so we can be the best, healthiest version of ourselves. Mitchell has taken that philosophy to a new level, adopting a “Faith-Focus-Finish” credo. Mitchell is quick to point out that winning isn’t always measured on a scoreboard or a stopwatch. Though he’s known around the world for his athletic prowess, Mitchell is rooted in North Carolina. He encourages his fellow North Carolinians to get outside and enjoy the healthy activities our state offers. In his travels across the state and beyond, Mitchell takes every opportunity to indulge a passion as strong as his love of fitness: pancakes. Fueled by his favorite breakfast-item-that-can-be-eaten-at-any-time-of-day, Mitchell continues to set new athletic and life goals. 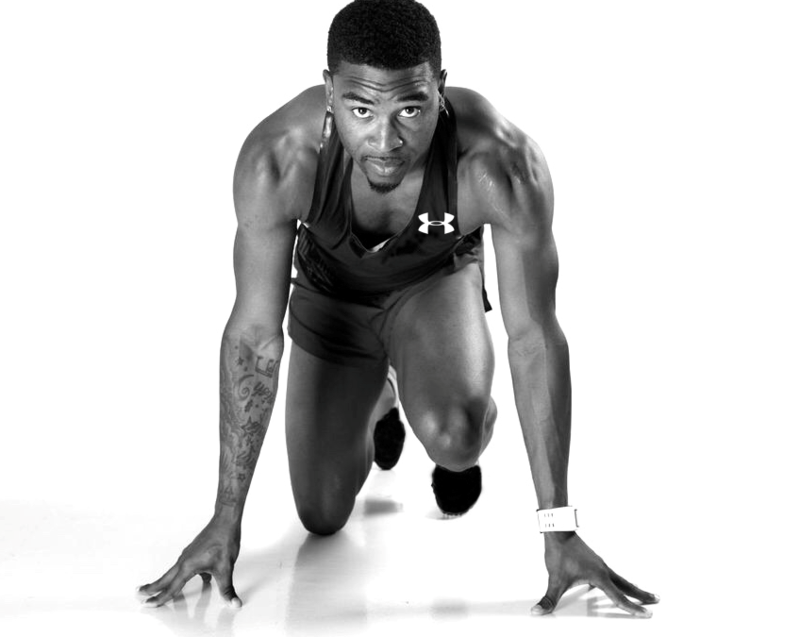 Manteo Mitchell’s Faith-Focus-Finish approach to life runs through every bone in his body – even when they’re broken.